We all think we are excellent at judging. Whether it's the next door neighbour's lawn, Angelina Jolie's dress, our spouse's taste in clothes, or the fact that our best friend watches Glee. The fact of the matter is, we may be great at judging those things, but we're pretty pathetic at judging how much food we need. But, this isn't always a bad thing. Packing your plate with large portions of nutrient dense, calorie sparse foods like salads and vegetables will actually improve health. 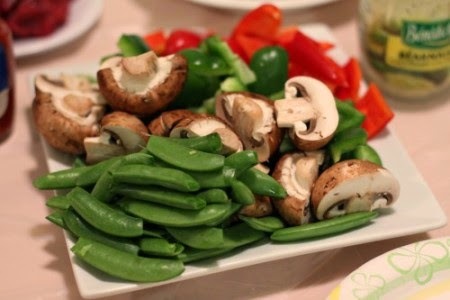 Veggies are full of fiber, vitamins and minerals. Two recent publications add to much evidence already showing high vegetable intakes reduce weight gain, increase longevity and reduce chronic diseases (1, 2). Another study shows eating large volumes/satisfying portions of lower calorie food is an excellent way to feel satiated and prevent weight gain. However, I'd say you're lying if you said you saw people stashing carrot sticks rather than fried chicken. 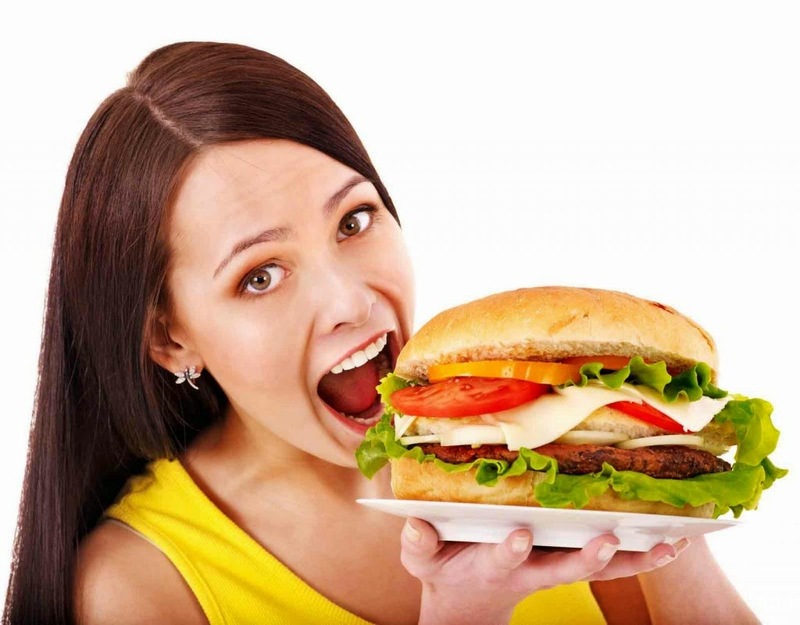 It's large portions of 'discretionary' or 'sometimes' foods that are problematic. More on your plate means more in your belly. In the short term, this often means intestinal discomfort, reflux or heartburn. Long term, this means weight gain, disease and, ultimately, as always, death. What about those pint-sized pie holes, aka the kiddies? 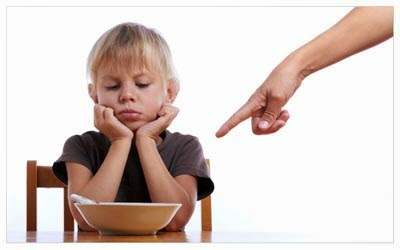 According to this new study, children on average ate 59% of food on their plate. 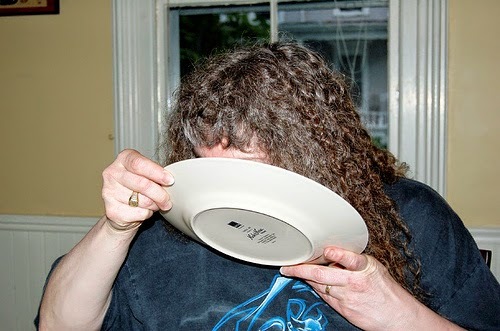 Parents often see this as 'bad' and coerce their children into finishing their meal. This is most definitely a problem, a big one. I'm going to preface this next paragraph with an important proclamation: No healthy child self-starves. 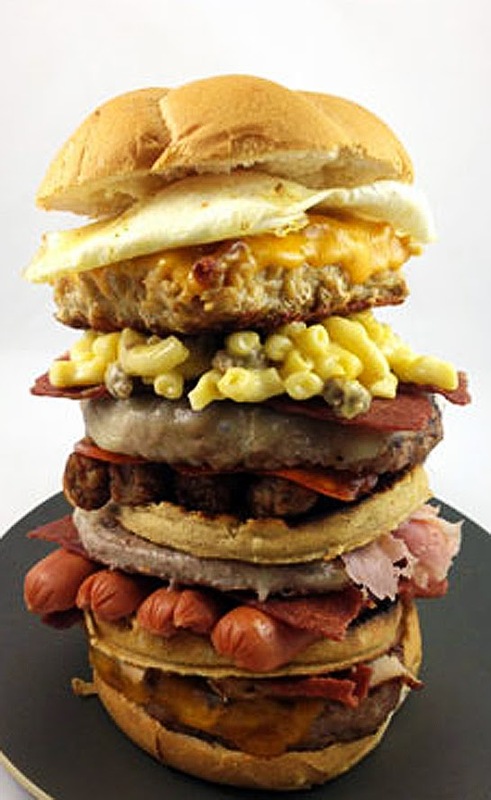 "Globesity": the term used to describe the predominance of obesity throughout the world. No longer only a #FirstWorldProblem, but something far reaching to all corners of the globe. 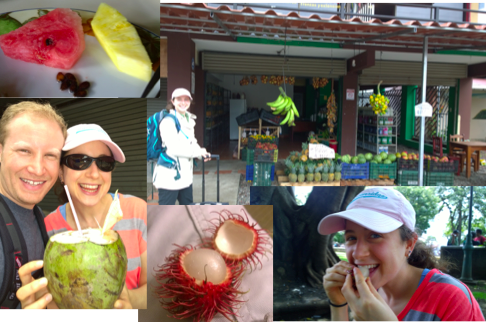 Here are my experiences from a recent adventure through Costa Rica as both a foodie and dietitian. 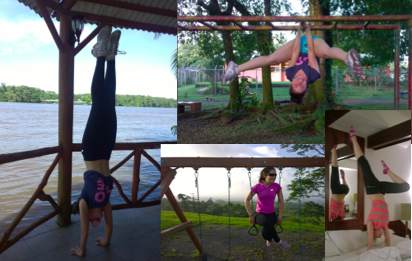 But first, let me take a selfie... And give some background stats: In Costa Rica, 60% of women aged 24-45 are overweight or obese, compared to only 2% in 1982. Women 45-64 have an incidence of obesity 128 times greater than in 1982. Overall, 62% of women and 60% of men are overweight or obese. In the USA as of 2011-12, 69% of adults were overweight or obese. Australia is in hot pursuit with around 63% of adults overweight or obese in 2011-12. The life expectancy in Costa Rica is almost 78 years, which is about the same as the US. Australians are living an average of 82 years. 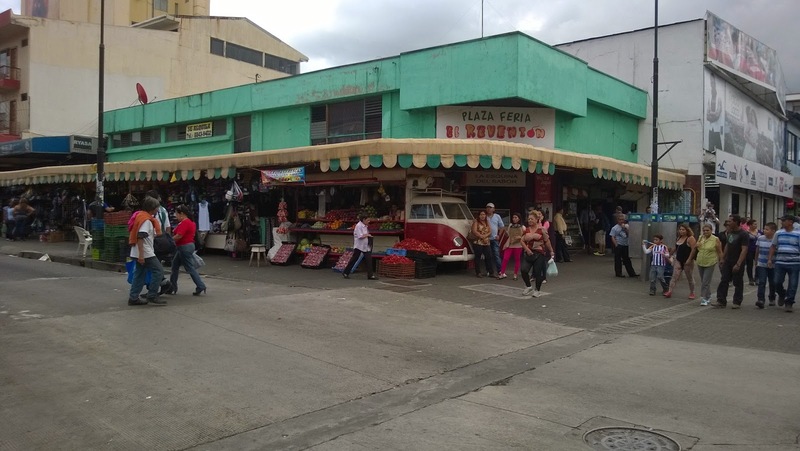 But back to Costa Rica: The traditional 'soda' (small market-style eatery) was typically empty. 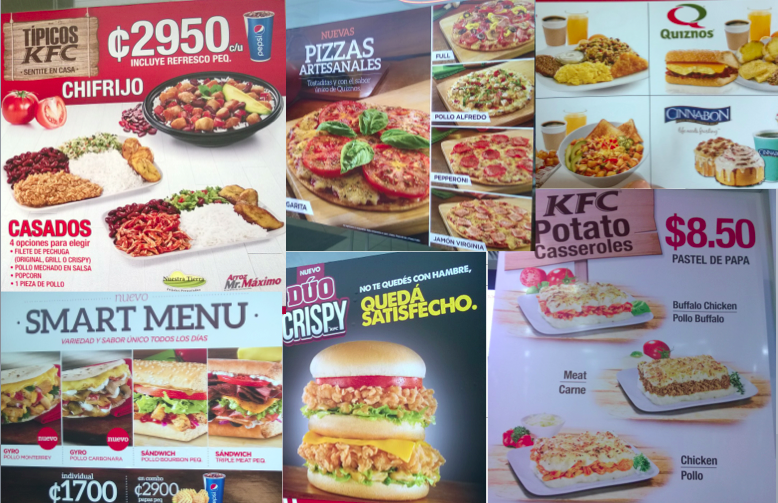 Instead, urban Ticos were swarming American fast food stores like Mc Donald's, Pizza Hut, Quizznos, Wendy's, Subway and KFC. The interesting aspect of this is many menu items adapt to embrace local food culture, for example a KFC plate often comes with beans, rice and plantains (see below). If we had done this in CR, we would have found ourselves dining on Mc Donald's ice creams, KFC, burgers, hot dogs and pizza. 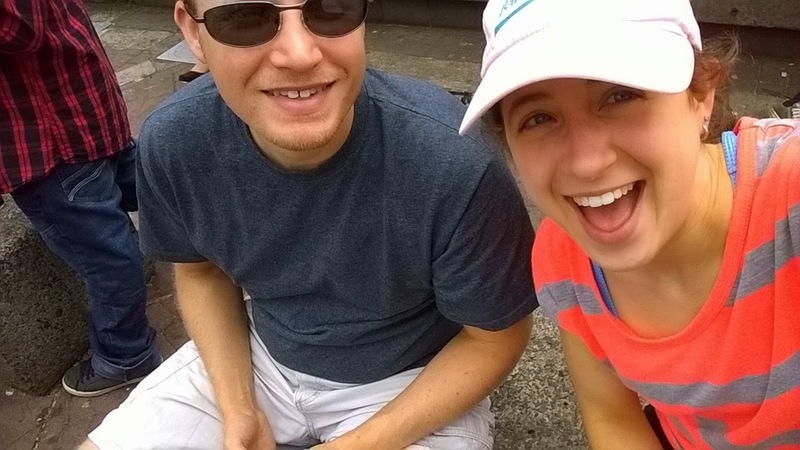 Needless to say, we're not the type who travel abroad to eat low-quality American food. CR produces and grows so many beautiful fruits and vegetables- it's hard not to given it rains daily. Yet, the majority of meals comprise mostly of (oily) starches and meat with a small side of shredded cabbage salad or stir fried veg. We definitely got the feeling that urban Ticos love desserts. Pretty much every block in downtown San Jose and Herradura was home to numerous Panaderias (bakeries) and lots of advertising for desserts like ice cream, cakes and pastries. Because I love sweets and admiring beautiful cakes and desserts, I stopped at many of them to look (and sample) some of the sweet, flaky offerings (which were quite delicious). The dietitian part of my brain immediately noticed the absence of whole wheat or whole grain bread- something worth mentioning. Fruit on the other hand, was everywhere. Fruit venders were all over the San Jose streets, at bus stations (even the rural ones) and most meals we ate included fruit. This was rambutan season (a Malaysian fruit related to the lychee). We pretty much bought a bag of them everywhere we traveled. 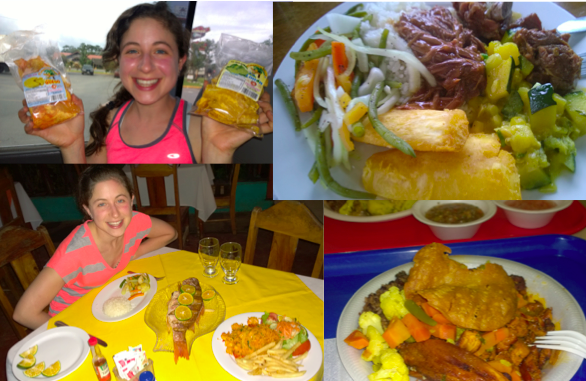 A collection of fish, fried yucca/plantains, vegetables, meat and rice. 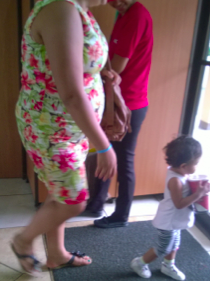 To me, the picture below best captures the cycle of obesity we saw in CR and is also the unfortunate truth for most of the world: The unhealthy habits of parents, often from outside influences like persistent advertising of convenient food, transferring through the generations. Costa Rica is a wonderful, lush, beautiful country. This article only focuses on our food experiences, not all the other tremendous encounters we were fortunate enough to experience.